Stevie has 2 sons Aaron and Dale both as you would expect are accomplished entertainers. The family lived in Pontefract until Stevie was 10 years of age. Stevie carved out his solo career in 1978 moving to Blackpool during 1983 and actually owned Chaplin's nightclub for 9 years. Working as a ‘bit part’ actor for Yorkshire Television he was also a stuntman for a while carrying out stunts on a motor cycle and crashing through windows with Peggy Mann riding pillion. Stevie also had a character part in the 1988 TV film ‘Across The Lake’ the true story of Donald Campbell, the first person to go 297 Mph on water, who crashed ‘Bluebird’ trying to achieve over 300 Mph. In 1985 Stevie started touring around the UK working with a host of theatre land and television ‘big names’ including, Joe Brown and the Bruvvers, Charlie Williams, Peters & Lee, Vince Hill, Gerry Marsden, Tom O'Connor, Frank Carson and many many more. 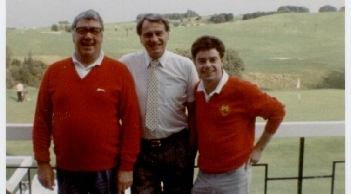 Many have remained life-long friends such as Frank Carson who took Stevie under his wing many years ago. Stevie came to Benidorm for 2 weeks working at Rockefellers, was spotted and moved to Carriages where he was for the past few years. 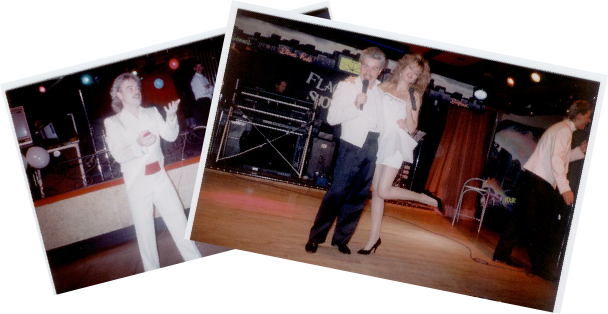 He is now performing at various top spots in Benidorm. He loves his job, he loves Benidorm and he loves to entertain. A new love as entered ‘stage right’ into Stevie's life, Jackie a lovely lady who became Mrs Nelson during December 2005, espana-resort.com wish them both every happiness and a long and healthy life together.